In order to celebrate the 30th anniversary of Tamiya’s 4WD, GSC has teamed up with Tamiya and Dengeki Hobby Magazine to create a special joint product known as Nendoroid Petit x Mini 4WD. The collaboration project was announced at 51st Shizuoka Hobby Show (May 17th – 18th). 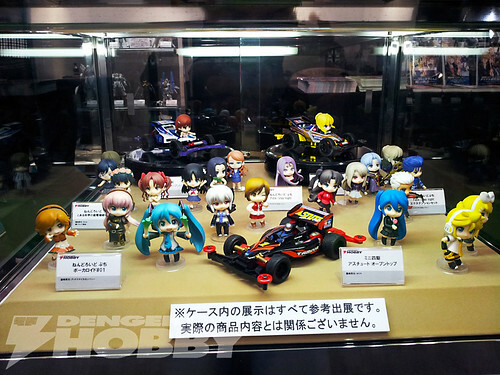 Yep, as you can see in the pic above, the announced Nendoroid Petits will be riding their own special mini 4WD as mentioned in the list. This entry was posted in News and tagged fate stay night, misaka, nendoroid, petit, puchi, racing miku, saber, tamiya, toaru kagaku no railgun, vocaloid.